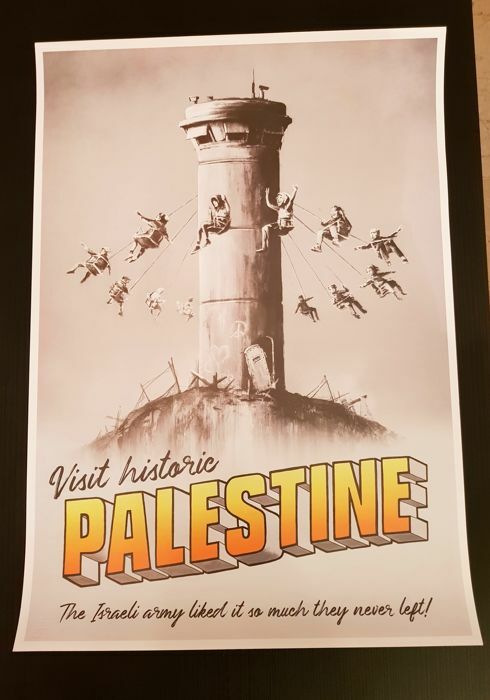 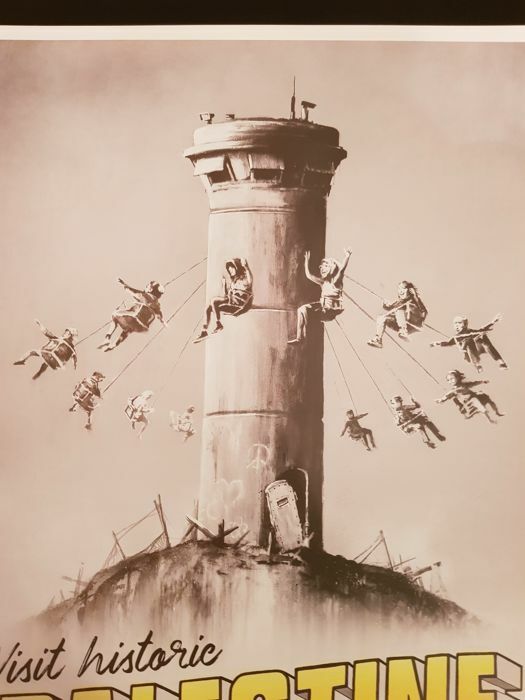 Official Banksy poster published on the Palestine stand at WTM (World Travel Market) at ExCel London early November 2018. 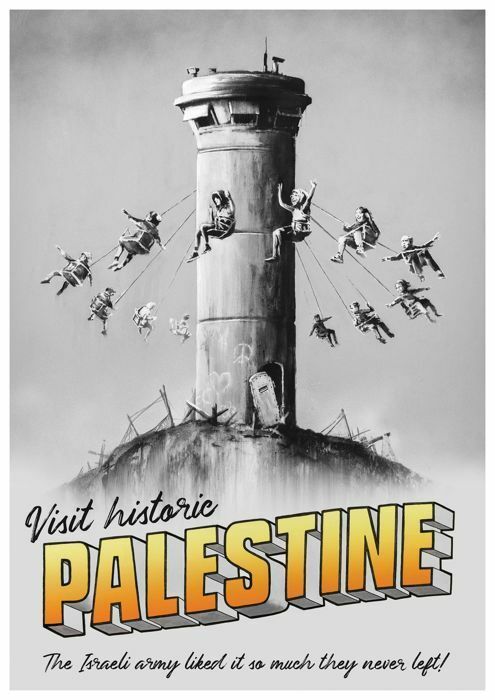 Banksy is involved in Palestine with the Walled Off Hotel, which he opened in Bethlehem in 2017. 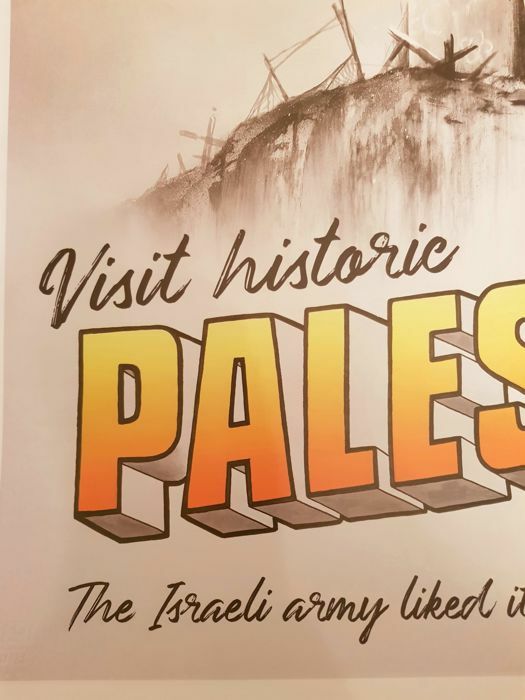 Edition of 2,000 copies, 1,000 copies distributed per day over 2 days. 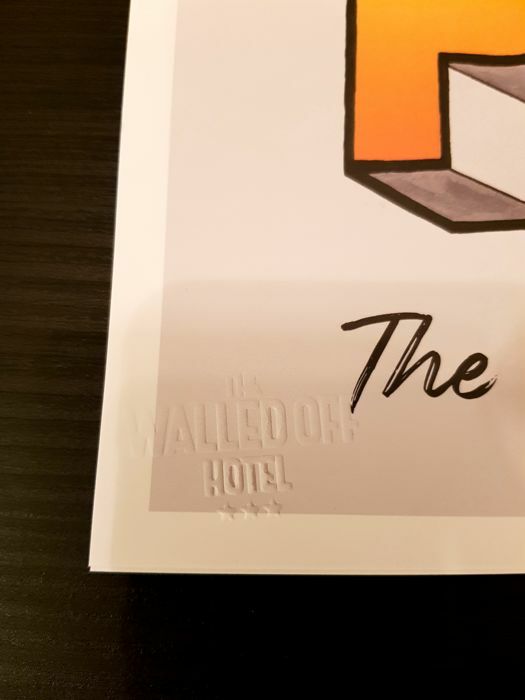 This copy comes from The Walled Off Hotel. 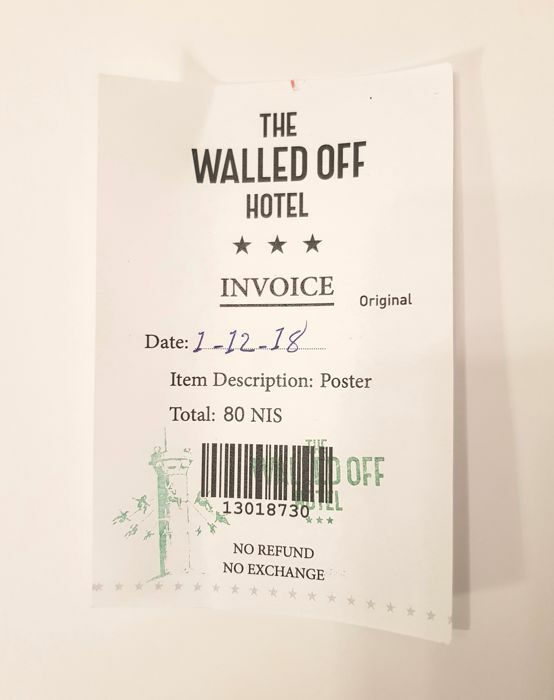 The invoice of the purchase will be also sent with the poster.